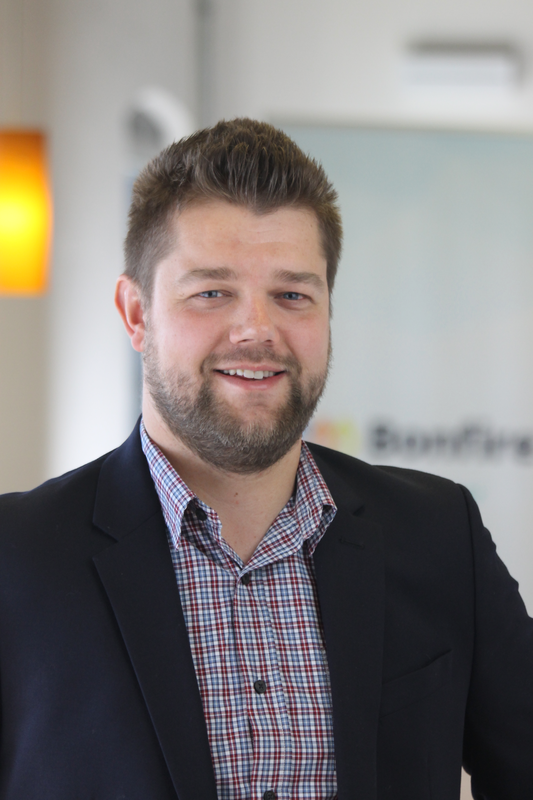 Q&A with Corry Flatt, CEO and co-founder of Bonfire Interactive. Government Product News (GPN): How has your industry’s involvement with the public sector evolved over the past few years? Corry Flatt (CF): I’ve spent my entire career at the intersection of high-tech and public sector organizations, having led product and sales teams at software companies that sold into various levels of government and publicly-funded institutions. Through those experiences, I witnessed the time, energy and frustration that went into thousands of public sector RFPs (and all the related work like evaluating vendors, justifying decisions, awarding contracts, managing performance, etc). Every time, I thought there must be a better way. It turns out there wasn’t… and eventually Bonfire was born out of this frustration. One of the most significant hurdles to overcome in the beginning was understanding how much more complicated requirements are in public sector procurement compared to the private sector. It’s not just about bottom-line price; it’s also about qualitative or subjective criteria and very stringent compliance processes. So right from the start, we had to design technology that absorbs those complexities and makes it easier for users to track and audit. GPN: What is the biggest misunderstanding that you think public sector professionals may believe about doing business with your industry or using your industry’s products? CF: The biggest misconception is that procurement processes like RFPs are just a “necessary evil” and “mostly red tape.” And while we can empathize with that view – especially if your organization is running their sourcing activities in paper and Excel files – we believe it does your organization’s procurement professionals a big disservice. Procurement teams, especially when equipped with modern software, actually add a massive amount of value to the day-to-day activities of their organization. They are saving money that can go to fund other things; they are helping flesh out requirements to help ensure success; they are looking around corners and making sure the i’s are dotted and t’s crossed. Simply put, they are helping their organization achieve their goals by balancing a variety of factors. That said, procurement and sourcing can definitely be an “administrative headache” if your organization hasn’t moved these processes into the cloud yet. But those who have moved their process to the cloud would say that the administrative headache of RFPs is a myth. GPN: What resources can elected officials use to educate themselves more on your industry and its importance to government operations? A: Aside from keeping up with news in your functional area via Google Alerts or LinkedIn groups, there are a variety of conferences available that government officials can attend to learn more about the industry. The National Institute for Government Procurement (NIGP), for example, is an excellent resource for public procurement tools and best practices. But perhaps more importantly, you need to speak with peers in the industry. Many public sector organizations are making the transition from paper to digital – connect with them through your network or at conferences to learn how they did it and what they learned along the way. We find that our clients experience “light bulb moments” when they interact with each other. Additionally, despite public sector’s reputation, there are many innovators who are often years ahead of the rest of their peers. They tend to be very open to sharing about their experiences and helping the next wave of digitization. Find them at conferences, where they are likely speaking or winning awards; read their articles in the trade publications for your area; watch for them at local association meet-ups. They are true treasures and vastly under utilized resources. Lastly, there are fantastic resources online. Services providers of the latest procurement software solutions are subject matter experts when it comes to utilizing technology for the industry; they provide a lot of great content, from infographics to ebooks, that can help educate and inform. 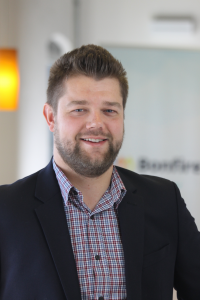 Bonfire, for example, has recently launched the 2018 State of RFP Report to offer industry leaders benchmark statistics so they can gage the effectiveness of their processes and understand how technology can support them. GPN: What should local government professionals consider most when using products within your industry? CF: The first question we’re typically asked is how do I get started? Automating RFx activities is a seemingly daunting task but it doesn’t have to be. If you are a government professional researching procurement tools, identify current challenges that all stakeholders in the sourcing process may experience. After speaking with stakeholders, determine the scope of work that you need. For instance, does your team need to handle basic bidding, or do they require a full suite that includes bidding, submission and sourcing with deep evaluation tools (online evaluation capability is often a gap that many tools miss, but can offer significant time savings and detailed audit trails for transparency). Keep in mind that you may want to expand that scope in the following year. The software should be scalable to collect the data you need today, but also be able to set you up for success in the future. The service provider should offer an implementation and support package not only to get your system up and running, but also plan for frequent touch points after your system is in place to check in and ensure your team is getting the most out of your tools. One of the key elements that often gets missed when evaluating sourcing tools is how your evaluators and vendors will access support. Make sure full support is offered by the provider, otherwise it can be a resource constraint on your team to support all end users in the software. Ask the service provider for some statistics, such as the customer satisfaction rate and ticket response times, which are typically tracked through the provider’s support team. User experience is also a crucial item to consider – if stakeholders don’t like the system, they won’t want to use it. Ask the service provider to present user adoption rates and testimonials from their customers which will indicate the type of experience users have with the software. Lastly, recognize the value in data. Understand that if you utilize these insights they will provide full visibility across spending activities with real-time dashboard reporting. This, in turn, will allow teams to have instant insight and help leaders with resource planning. Software providers should offer easy to use and easy to understand dashboards and reporting capabilities to give you what you need, at your fingertips. GPN: What future developments can governments expect to see in this industry? CF: It seems common sense that software should work the way you do, but building those capabilities in software in an easy-to-use way is very difficult. So it’s not a surprise that we’re still in the early stages of this digitization shift in public sector – in fact, only 5 percent of IT spending at U.S. municipalities is on cloud/SaaS systems. That’s a lot of work that remains to be digitized. Yet digitizing your procurement work flows is just the first act of a much bigger and more exciting story. Once it’s digitized, you can harness that massive amount of data and leverage it to make better procurement decisions. Technologists have two names for this: ‘Big Data’ and ‘predictive analytics’. They’re fancy terms for taking large amounts of data and making a process better. For instance, at a glance can you tell what the trend is in the pricing for a particular category of software over the last five years? It’s unlikely you can easily answer that question today – the data is spread out across files, systems, ERP modules, etc. Or an even more simple example: how long does a typical office supplies bid take you from start to finish? Even with older procurement software packages, it’s usually very hard to find answers to even basic questions like this. But once all your procurement processes are happening in a data-rich modern SaaS application, insights and answers like this will be at your fingertips. Even more exciting, the software itself will be able to tell you what to expect without you even asking. Now, imagine if your organization could seamlessly share data with its sister agencies. Imagine how many opportunities there will be for collaboration, benchmarking, and mutual benefit. Things like collaborative buying, contract sharing, shared vendor registrations, shared KPIs/benchmarks, etc — activities that today take a lot of manual coordination and work — are all only a few years away from being almost completely automated. The power of cloud software and ‘big data’ will transform how public agencies buy. It’s an exciting time for public procurement technology.